For music heads looking for the next level of production control, who want to not only design and customize sounds, but their software as well, Dubspot has the answer. 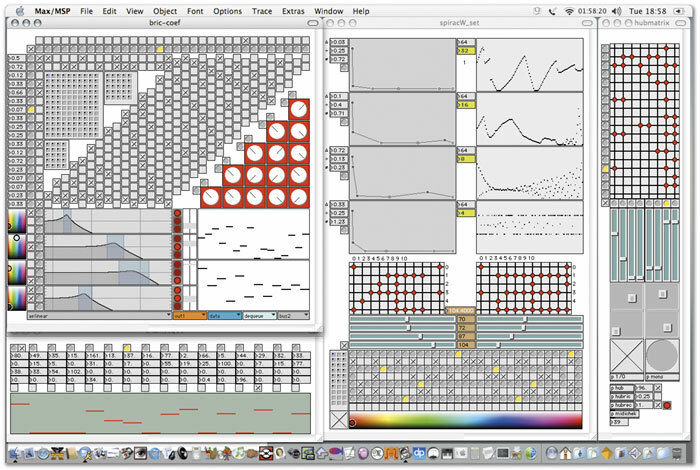 We are rolling out new courses on Max/MSP and Max For Live. Check out our first July 31st & August 1st from 7:00 to 10:00 pm. Plus, we are inviting all friends, family, and interested students to come check out a free workshop based on the new curriculum and courses, the July NYC Ableton User Group Meeting will meet Monday July 26th @ 7:15pm, which will also detail Puremagnetik’s new Max Fuel bundle. Hosting will be one of Dubspot’s newest instructors, and the designer of the Max Fuel bundles, Dave Linnenbank. Puremagnetik make some of the finest Max and Ableton bundles around. Dave’s Max Fuel is a perfect example of that. Beyond the ‘Yell’ and ‘Side Chainer’ (pictured left), they are offering a teaser download, the ‘Spectral Mixer,’ which you can get for free right now. Cycling ’74′s Max/MSP/Jitter is essentially a programmed designed to do nothing by itself: the user is completely responsible for creating all the capabilities. 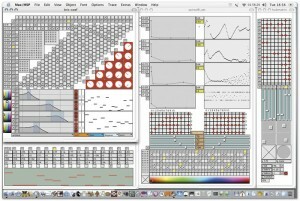 Max 1 – MaxMSP is a visual programming environment of infinite possibilities. Instead of writing out lines of code, you will learn Max using familiar concepts of modules, patch cords and signal flow. In this first class, you will start down the path of programming your own custom solutions to MIDI control, unique note and control sequencers, drum machines, and even beat and pattern generation. You will leave the class with your own custom device built as a stand-alone application, ready for use in performance or production. Lecture and presentation will be interspersed with hands-on, supervised time to experiment with the program and develop ideas. At the end of the course, students will be ready to incorporate digital signal processing (DSP) techniques in the Max 2 course. Max 2 – Max is the message-based underpinning that makes everything possible, but MSP is the signal-based portion that enables us to play with our audio. The Max 2 class focuses on the MSP part of Max in a big way. Strange methods of audio manipulation will be examined as well as synthesis systems, audio rate sequencing and performance-ready playback manipulations. You will leave this class with your own custom audio device(s). Lecture and presentation will be interspersed with hands-on, supervised time to experiment with the program and develop ideas. At the end of the course, students will be ready to work with video performance in the Jitter course and/or integrating Max directly into Ableton Live in the Max For Live course. Jitter – After completing Max 1 and 2, you are now ready to us Max as a serious platform for live visuals. Jitter is the Max add-on that is optimized for video work, and you will learn to use it for creating compelling visuals to accompany your music on stage. Techniques covered will include processing pre-existing video, creatively using still images to create motion, using audio to manipulate video, working within three dimension space, and incorporating hardware controllers. You will leave this class having made a visual performance system geared towards your interests and needs. Lecture and presentation will be interspersed with hands-on, supervised time to experiment with the program and develop ideas. Students will perform with and discuss their systems in the final class meeting. 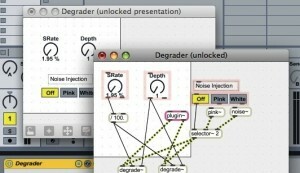 In Max For Live, the Ableton world just got that much deeper. This fusion with Max/MSP provides fresh, new user friendly content from programmers worldwide, and allows far-reaching new opportunities for customizing production and performance software – from oscillators, to LFOs, to customized controller mappings to anything you can imagine. 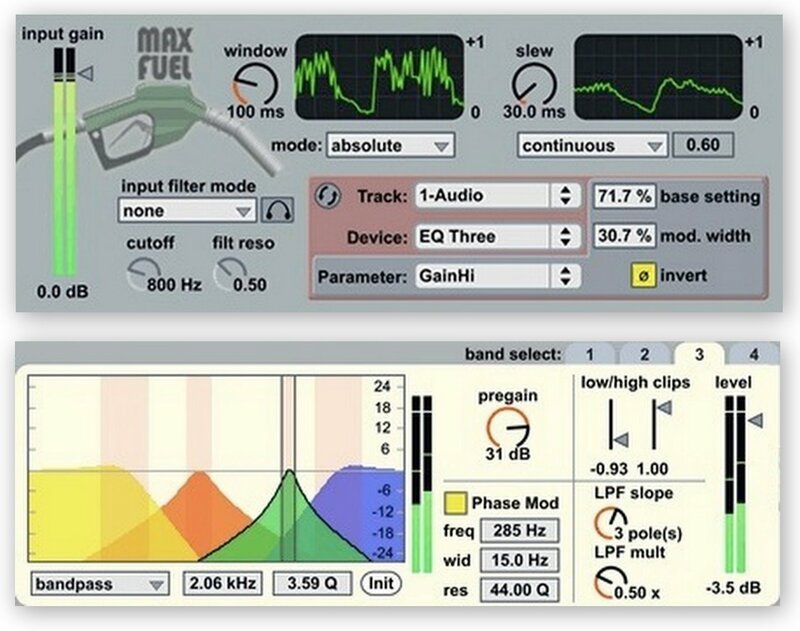 Max For Live – After completing Max 1 and 2, you are now ready to integrate the world of MaxMSP into Ableton Live. With the new Max For Live technology, you will incorporate your custom MIDI and audio processors and generators into Ableton and also develop new ones. Finishing touches and tricks will be covered to fully integrate your devices so that they look and act like Live’s plug-ins. You will leave this class having built new Max For Live devices to enhance your personal workflow. Lecture and presentation will be interspersed with hands-on, supervised time to experiment with the program and develop ideas. Students will perform with and discuss their devices in the final class meeting. Dubspot is happy to welcome another expert to our ranks. Dave Linnenbank boasts a decade-plus of experience with MaxMSP in all its various guises, in addition to his work as a musician and teacher. 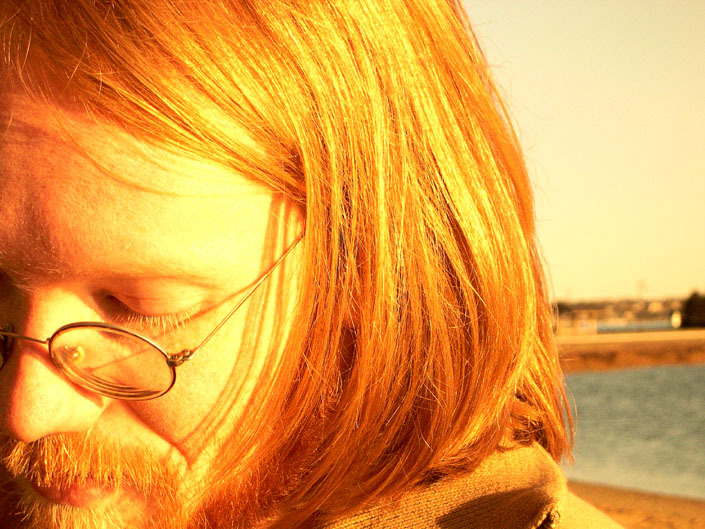 Dave’s migration in his teenage years from acoustic instruments to the world of synthesis began a life spent working with electronic music technology. His first use of Max was making controllable video pieces to accompany ambient songs in performance. 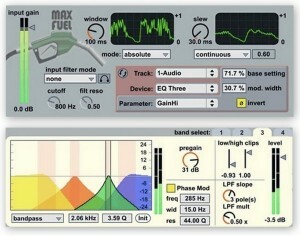 Since then, Dave has used Max for a wide variety of audio and video applications, from editing and generating MIDI, to creating plug-ins and custom audio tools for music production, to developing a soon-to-be-released bundle of Max For Live devices (Max Fuel, the First) from puremagnetik.com.